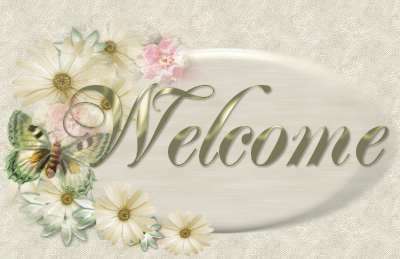 Welcome to our home on the web! We are Ron and Kim Richmond and we are located 20 minutes west of Columbus,Ohio. 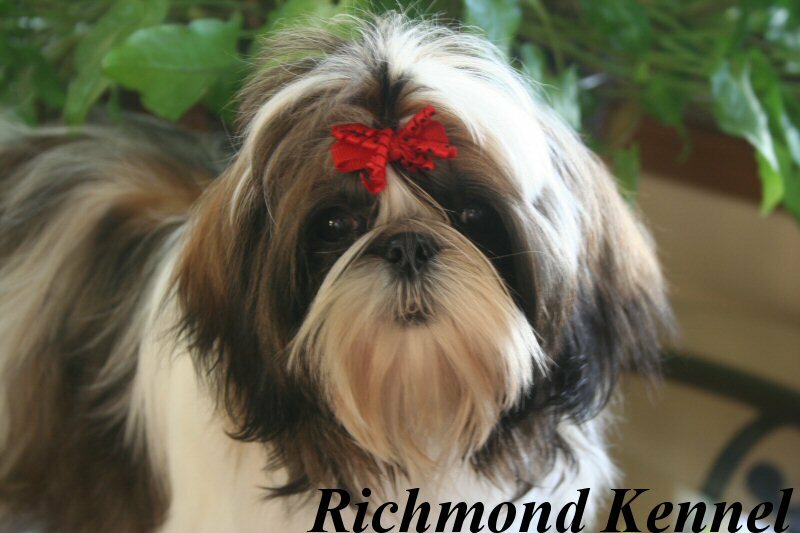 Our passion for animals has lead our lives into breeding and also the founding of Richmond Kennel. 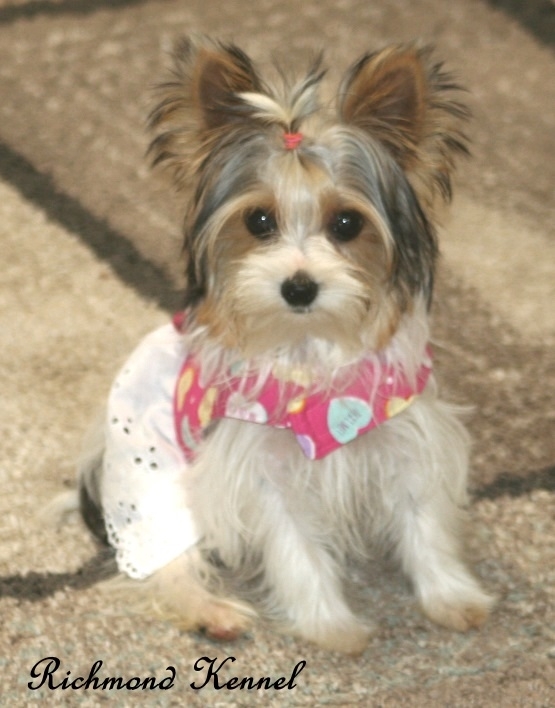 We strive to produce happy, healthy puppies for you to love! We love what we do ....and hope it shows! We welcome all calls...I must admit I am not good at remembering to check my voice mail....so please call again if you don't hear from me . 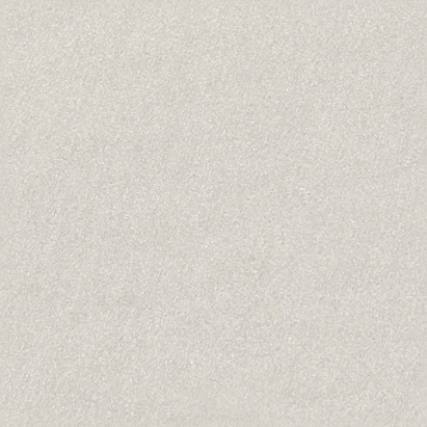 ALL of the pictures are of our dogs, past or present. We hope you enjoy looking at our adults and puppies as much as we enjoy showing them to you! * We will gladly show you puppies that are ready by appointments. We are NOT a pet store and our puppies do not sit in cages all day waiting for people to pass by and look. IT'S BEST to call the day before you would like to come out , as we will plan our day around you. If your not sure when you would like to come, and you call early enough in the day, we may be able to get you in that day ,if we are not already booked or into something else at the time. 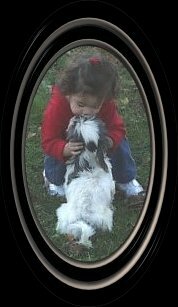 *The picture above is of a little girl I use to care for many years ago named "Izzy", along with her is a dear little shih tzu named "Annie"
We Believe Quality Pet Homes ,Deserve Quality Puppies at a Fair Price!! by Day/Night Cameras for the safety and care of our family and animals. ALL activity is being recorded. NO MATTER THE BREED OR THE REGISTRY! 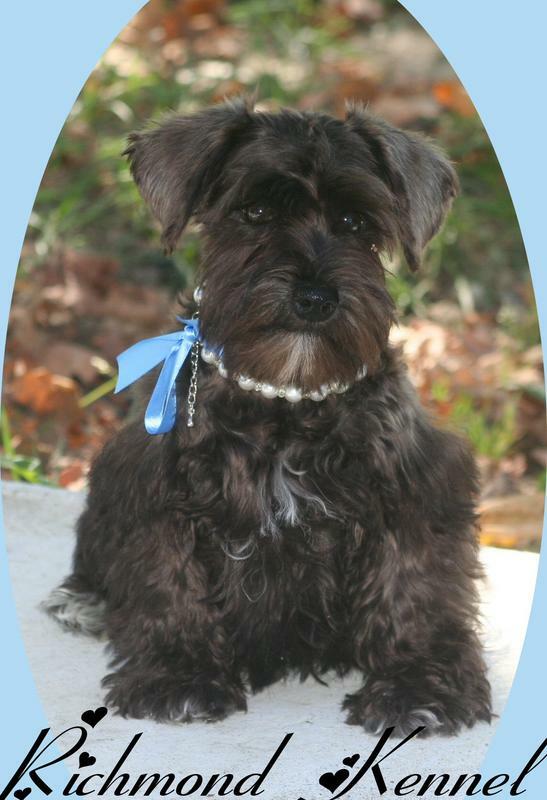 Don't let some fool you, there are poor bred dogs in ALL the registries (AKC,CKC,APRI,UKC and etc. ), as there are well bred also. We NEVER knowingly sell to puppymills, pet shops, backyard breeders, brokers or irresponsible pet owners or breeders. We understand that most people have to work outside the home and can not spend as much time as we do with our dogs and kennel...so please make the most with the time you are home with your pets. 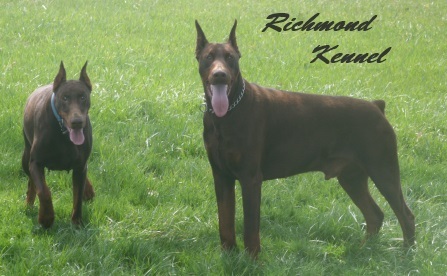 We DO NOT offer Stud Service or give tours of our Kennel, We are a CLOSED KENNEL for the health and safety of our Dogs. We also test all dogs in our kennel and we are BRUCELLOSIS CLEAR!!! PUPPIES DUE THE END OF MAY!